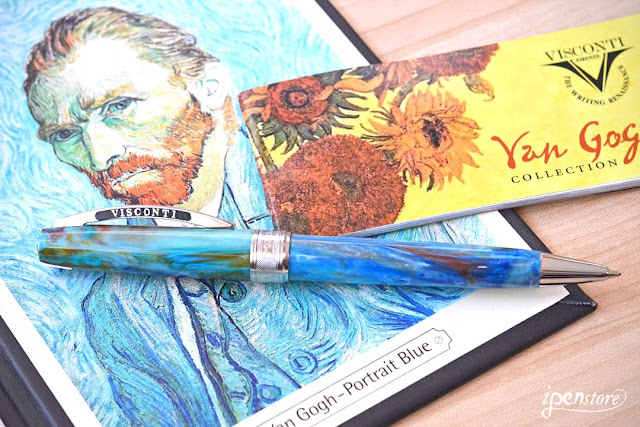 Visconti's Van Gogh "Impressionist" collection is inspired by his famous paintings - Sunflowers, Starry Night, Irises, Pollard Willows, and Self-Portrait. 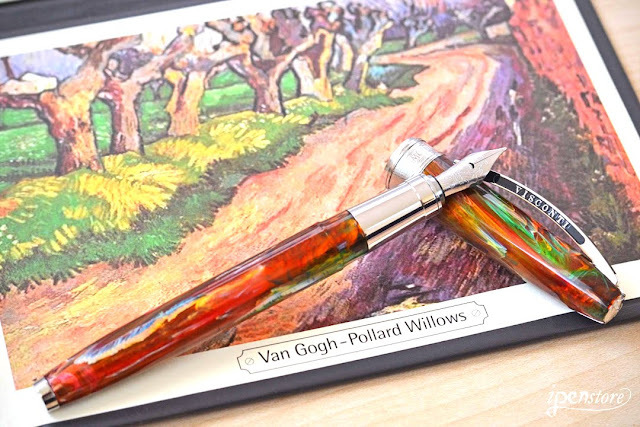 Made from natural resin, the barrel is faceted and the colors blend together beautifully, just as you see in the impressionist paintings from which they are inspired. 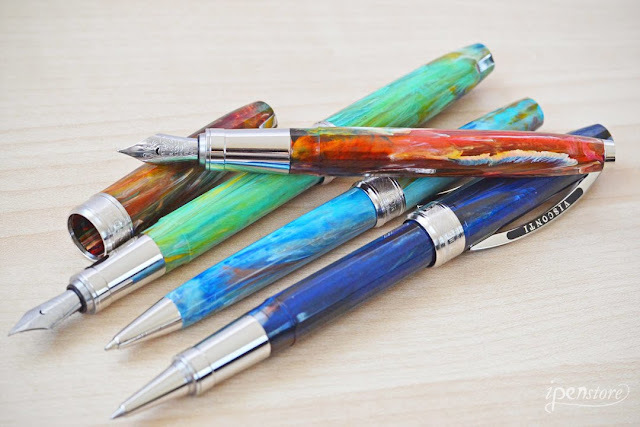 The faceted design emphasizes the colors of the pen. 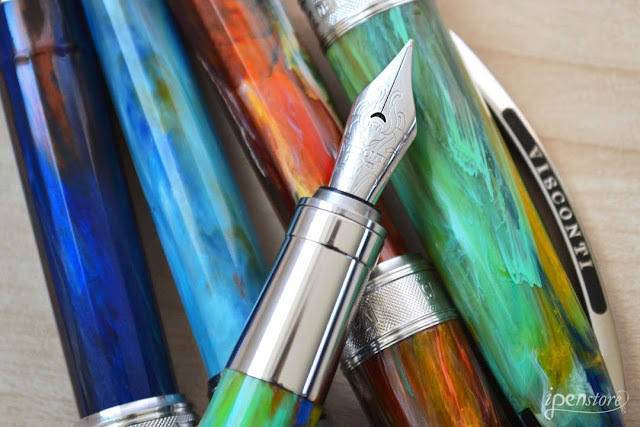 You can personalize your pen with your initials in the cap's top using Visconti's "My Pen System." You can also choose from natural stones or zodiac signs. The circular end cap is held in place with a strong magnet. 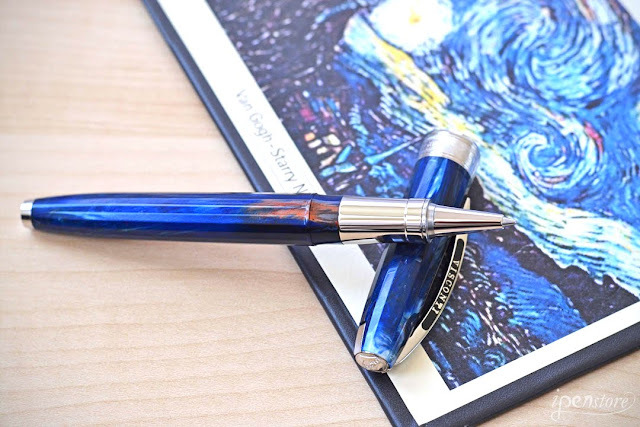 It requires a strong magnet or the Visconti 983ES magnetic remover tool, but if you purchase the My Pen System at the same time as your Visconti pen we'll replace the end cap for you before we ship the pen. 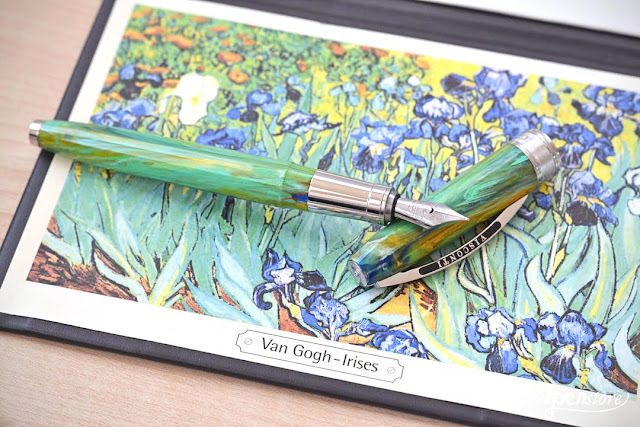 Visconti Van Gogh Fountain Pen,"Irises." 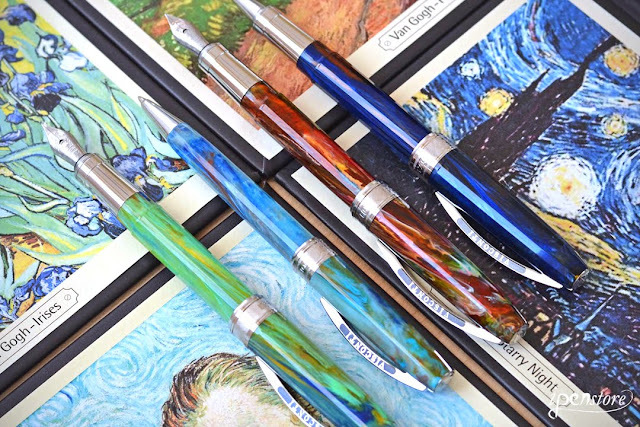 Each pen has the name of the painting and artist engraved on the cap band. 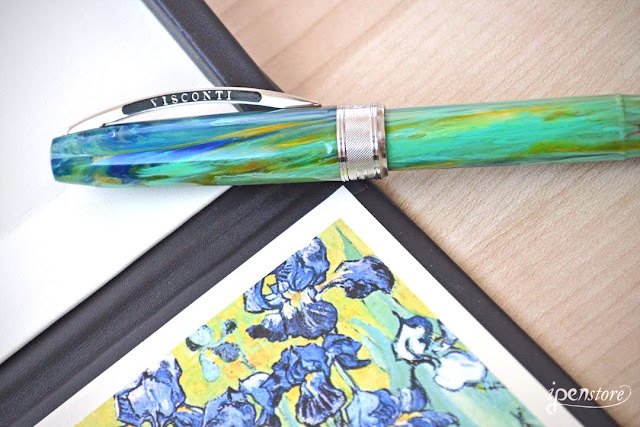 The cap closes securely with a magnetic locking system and the clip is the traditional Visconti spring clip. The steel nib provides a smooth and fluid writing experience. 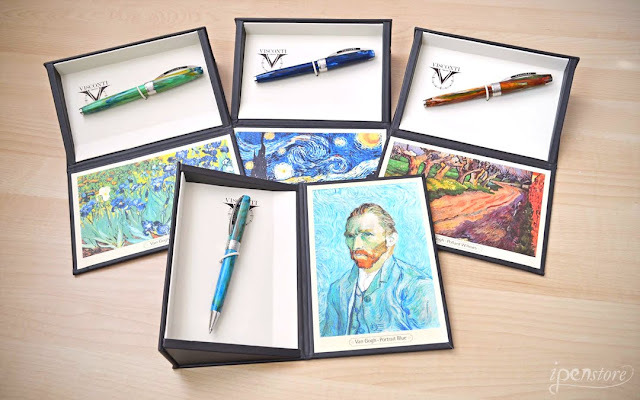 The pens are packaged in a gift box that displays the work of art that inspires each pen.